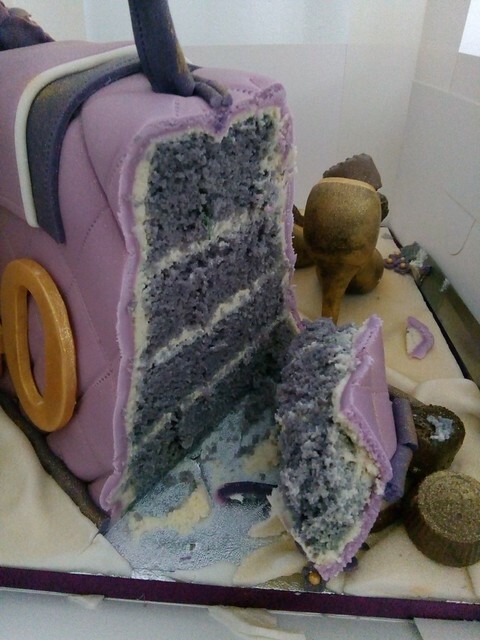 It's been decades since I put my hand to work on a 3D cake. 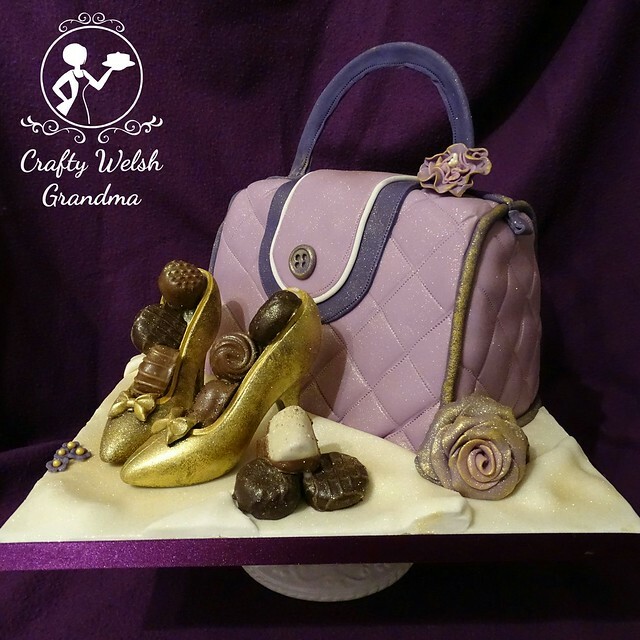 This handbag cake with chocolate shoes was, and will probably be for a while, my best achievement for some time. Sure, there may be a few, all-be-it minor, errors, but it was done instructionless! I knew what I wanted and the plan was all in my head. 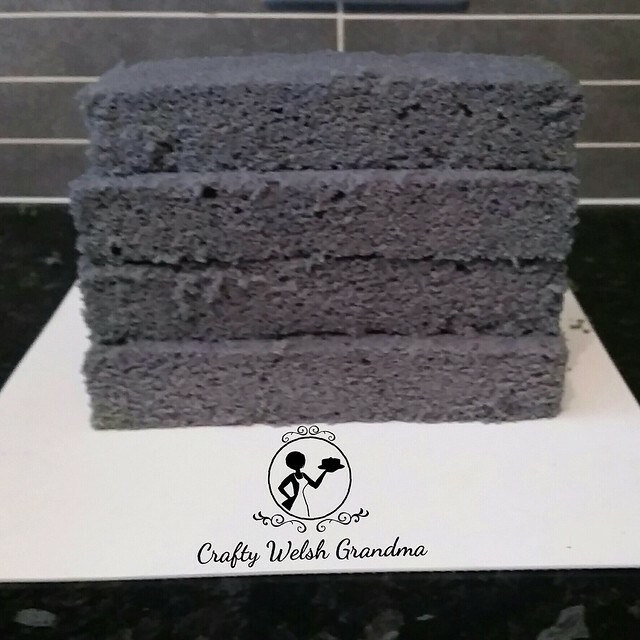 Inside, the sponge, yes my classic recipe, was coloured purple and flavoured with vanilla. 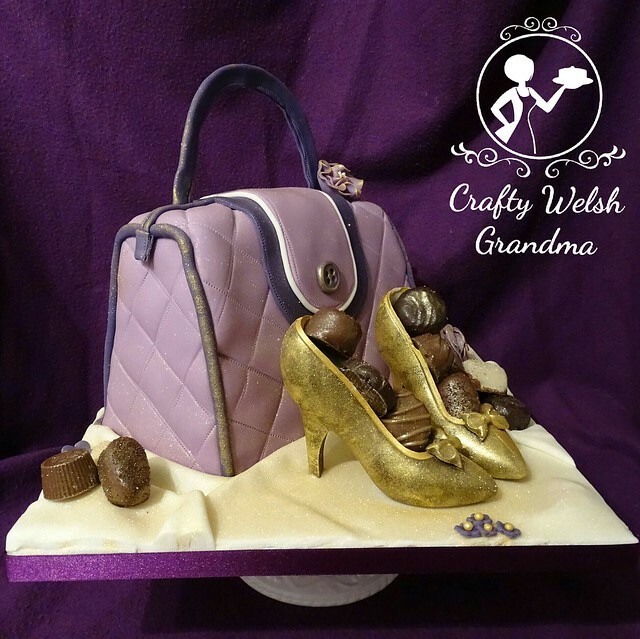 It was de-caramelised and the two layers were cut into four pieces. 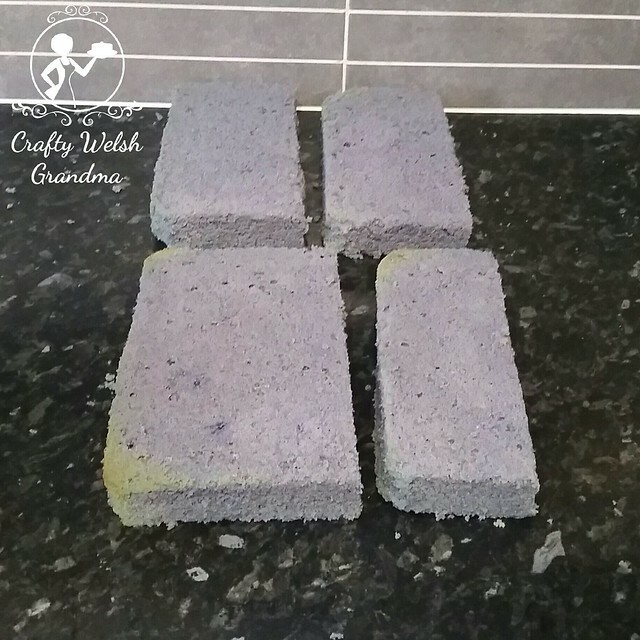 One sponge was cut in half and the other sponge was cut into two pieces with one bigger than the other. The largest piece for the bottom, two same size pieces for layers two and three and the smallest layer for the top. 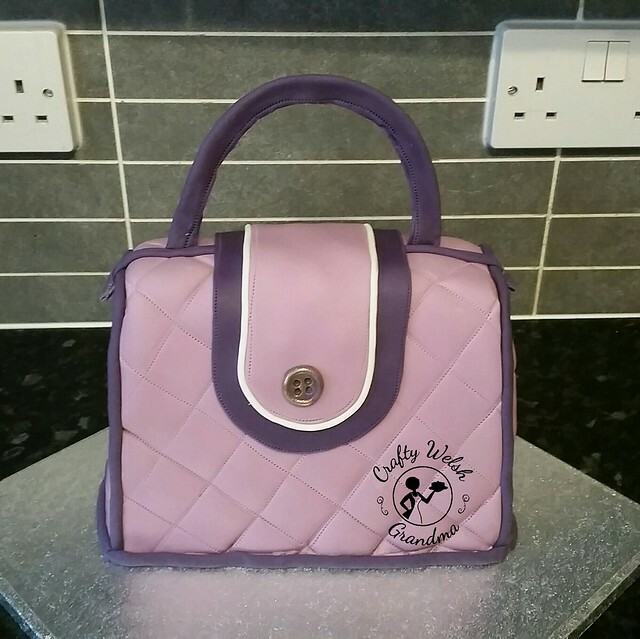 These were then sandwiched together with basic vanilla buttercream and then the whole cake was trimmed so the side profile resembled the side profile of a handbag. Due to it's unstable nature, two supporting dowels were inserted. These are left in. There is also a supporting piece of florist wire in the handle in order to maintain the handle shape. Topped off with some magic - namely gold lustre dust. Oh yes, and the giant 40 on the reverse! 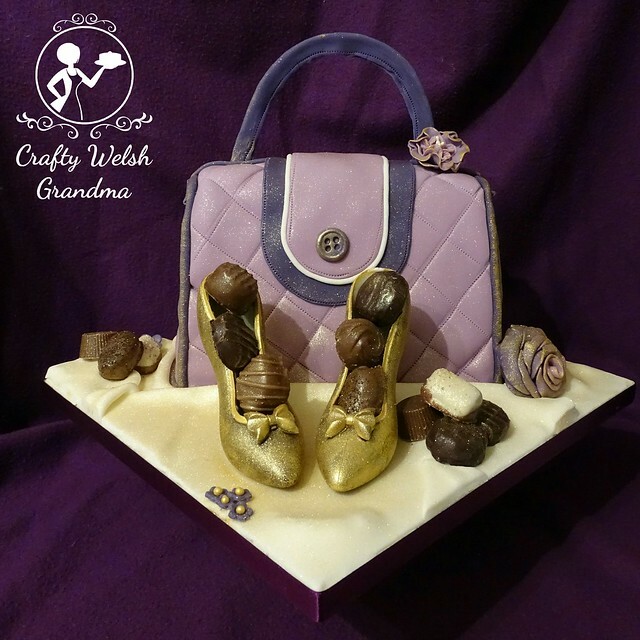 The edging was made from a darker purple fondant put through an extruder and highlighted with gold edible paint. A fake zipper is 'suggested' on the top with tabs either side. Some ivory piping on the bag flap (I'm not actually sure that that's called) all edge with 'stitching' using a quilting tool. The whole bag, before the piping was applied, had a quilting pattern over all the sides using a ruler and the quilting tool. 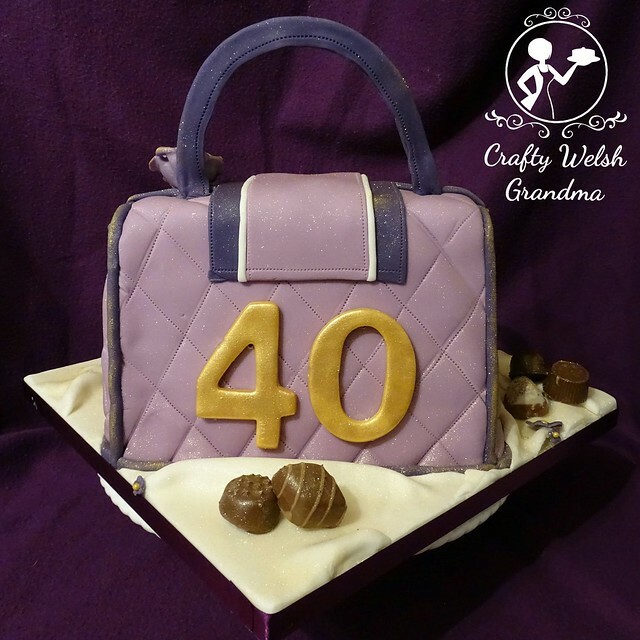 It was an absolutely beautiful cake.Cant believe I cried.You are an amazing cake crafter.Would highly recommend to anyone.Thank you so very much Crafty Welsh Grandma for making my 40th birthday so special.